There are many different reasons why you might consider getting a storage unit. Whether you’re in a transition period from one home to another or have simply outgrown the space you have, storage facilities provide an effective and affordable solution. East “O” Street Self Storage LLC offers Lincoln, NE, residents a flexible way to keep their living environments as happy, healthy, and clutter-free as possible. Get Rid Of Endless Clutter: If your home seems to be in a constant state of disarray no matter how often you’re cleaning and organizing, chances are you just have too many things for the space. Instead of continuously spending your time trying to find somewhere for everything to fit, move the items you may not use on a regular basis to a storage unit where you can access them whenever you need. Keep Sentimental Possessions: While uncluttering your living space is great, it can be difficult letting go of certain items that hold special sentimental value, regardless of whether you have a current use for them. Utilizing self-storage will allow you to hold onto those possessions for as long as you wish without the stress of having to find extra room in your home to store them. Added Security For Valuable Items: Your home may not always be the safest place to keep some of your more valuable items. Having a climate-controlled, off-site storage unit that is equipped with a state-of-the-art security system will give you peace of mind that your treasured belongings are safe and sound in a secure facility. 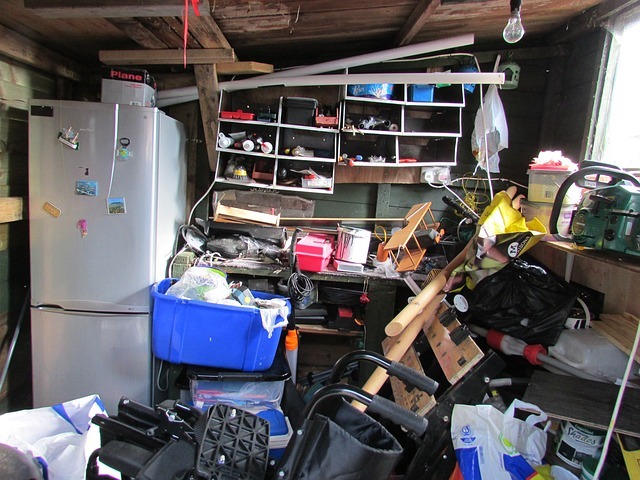 Having too much clutter can increase stress levels and make a living environment uncomfortable. Contact East “O” Street Self Storage at (402) 489-0134, or visit them online to find out more about renting a personal storage unit.